Materials: Orange/red acrylic, black acrylic. 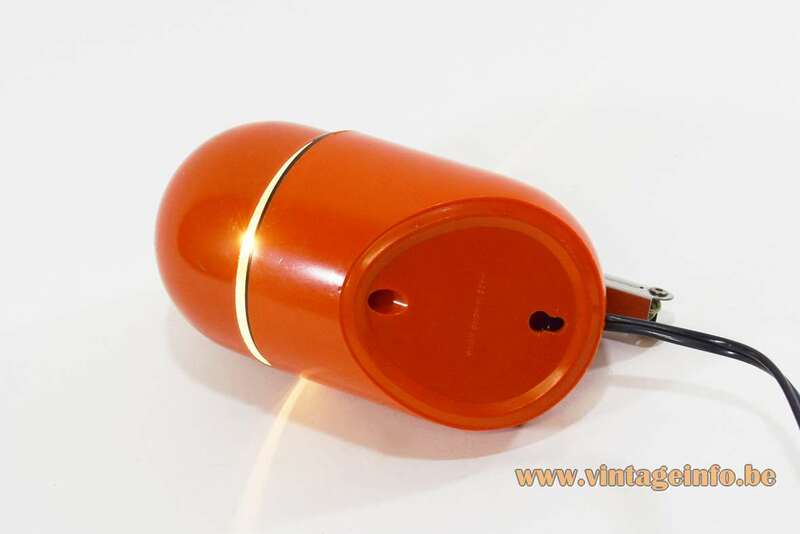 Orange/red painted aluminium lampshade, painted white inside. Chromed iron hinge. Transformer 220 volt – 12 volt/6 volt inside. 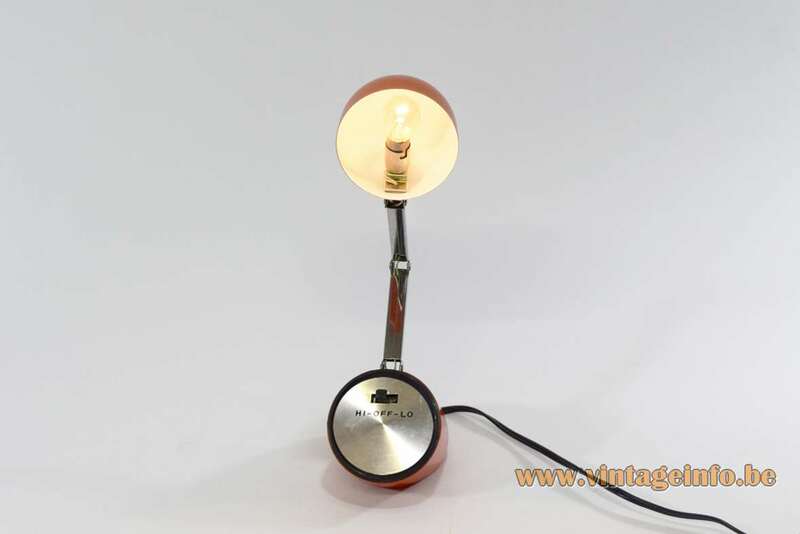 Electricity: 1 bulb 15CP, 12 volt, 13 watt, 220-240 volt. 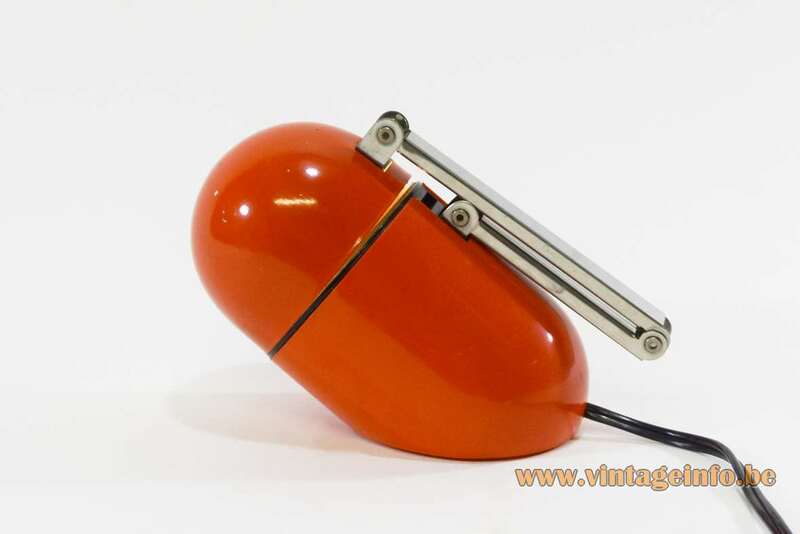 Manufacturer: Nanbu LTD, Japan – Nanbu Industrial Co. Ltd, Hong Kong, Kreo Co LTD.
Other versions: Made in several colours and made with a switch left-right and a switch up-down. Made with an aluminium front or only a black plastic front. 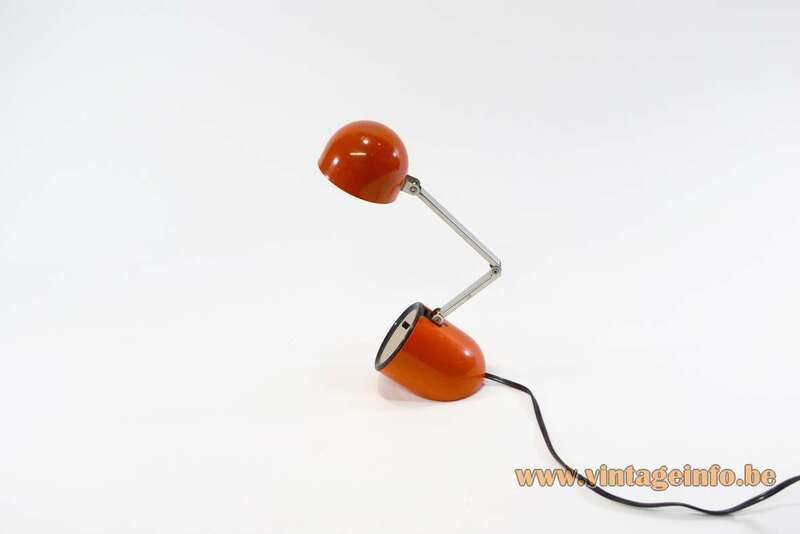 These lamps were a big hit and were produced for several years, starting from the early 70s. Model number NA-718, named aiai. 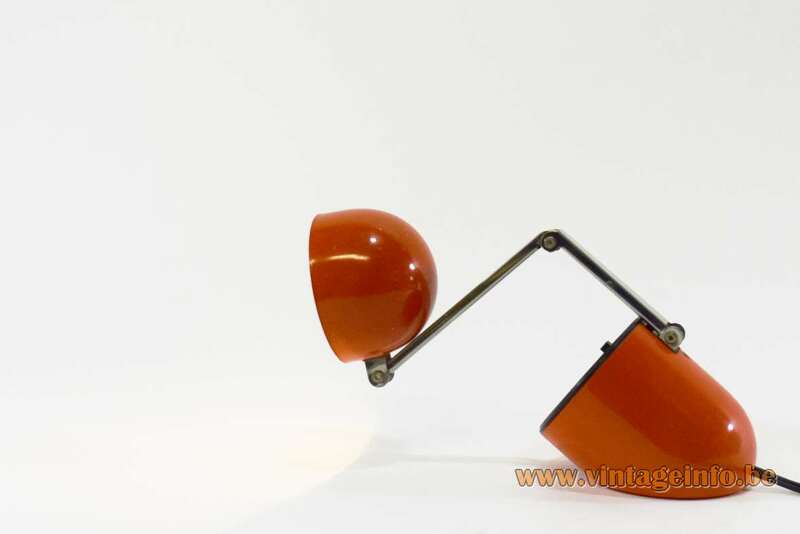 The aiai lamp can also be used as a wall lamp. A recess is provided. 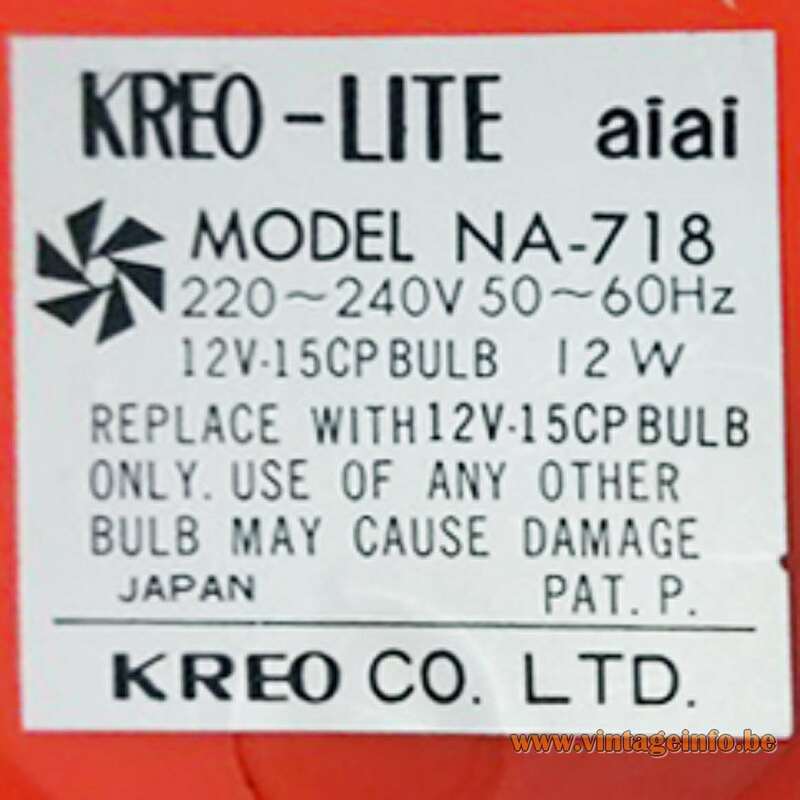 This aiai table lamp has no label. Only “Made in Hong Kong” molded in the bottom. A company with the name Nanbu Industrial Co. Ltd from Hong Kong exists. If it got anything to do with the company from the 1970s is unclear. According to some sources it was founded around 2008. Maybe the legal status changed or it is another firm. Nanbu is an import and export company. The Nanbu LTD company in Japan no longer exists. No information to be found. Another Nanbu company exists, but it was founded in 1981 and is named Nanbu Plastics Co.,LTD. Kreo Co LTD was founded in 1968. Today it is an advertising company. Also Kreo Industrial Co Ltd exists. 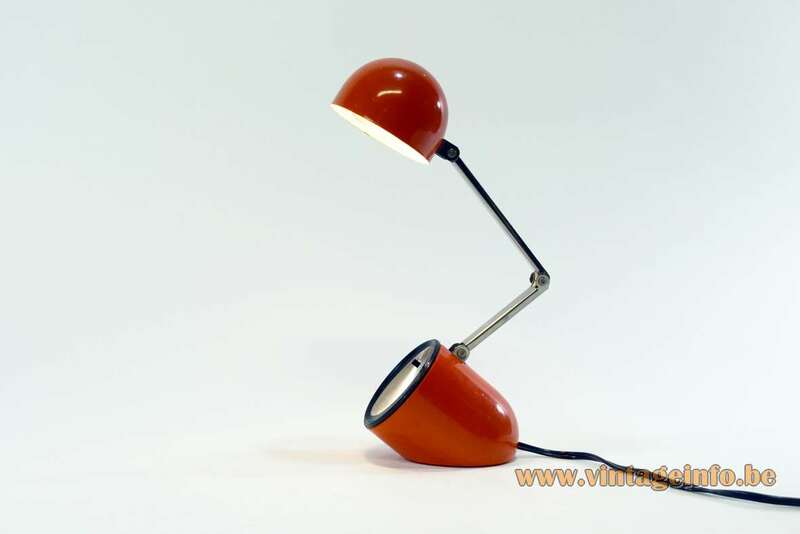 It was founded in 1985 according to Bloomberg and it is specialized in lighting. Most likely, the company was split up. 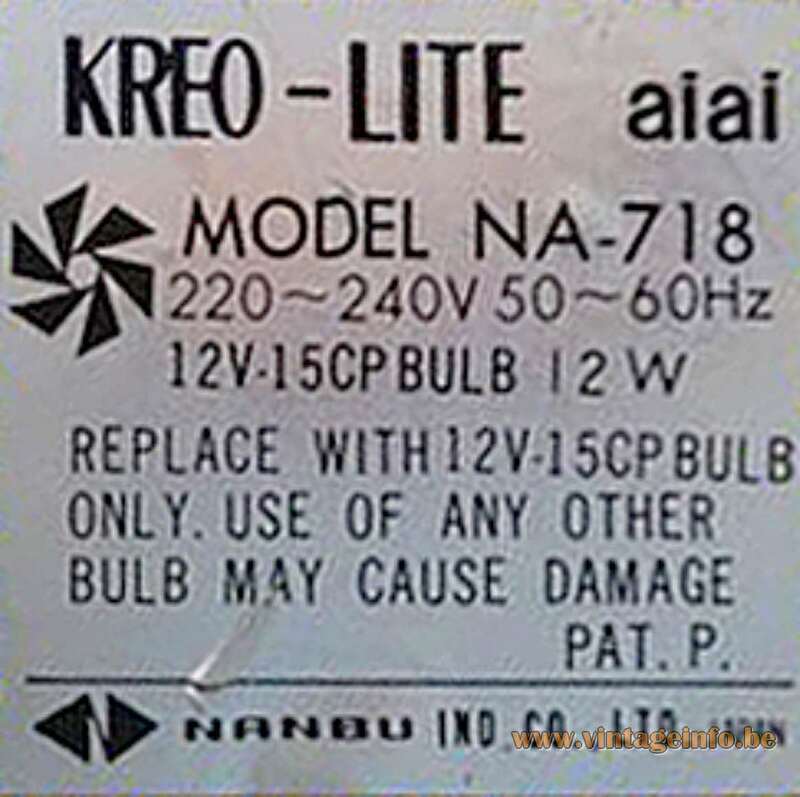 Kreo Lite was part of Nanbu Industrial Co. Ltd from Hong Kong, as you can see on the labels from two different aiai table lamps. 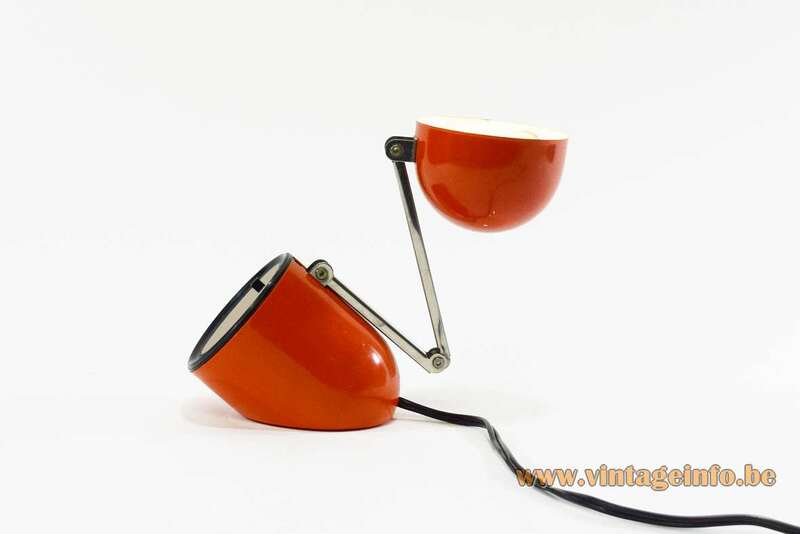 Designed in the style of the famous Pillola (pill) table lamp designed by Studio D.A., Italy for Ponteur in 1968. Several cities in Japan are called Nanbu. It was also a Japanese samurai clan.